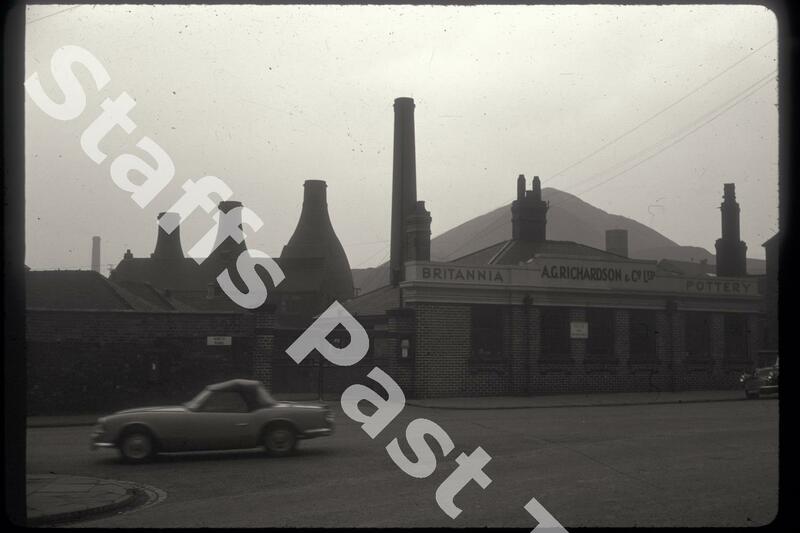 Description:A G Richardson's Britannia Pottery stood at the junction of North Road and Leek New Road in Cobridge. Behind the works is the spoil tip of Sneyd Colliery (now Sneyd Hill Park). The office building still stands at the entrance of Britannia Park, a small industrial estate. Richardson & Co Ltd manufactured earthenware and their best known range was called Crown Ducal. Crown Ducal ware was mainly table ware, but also a range of 'fancies'. 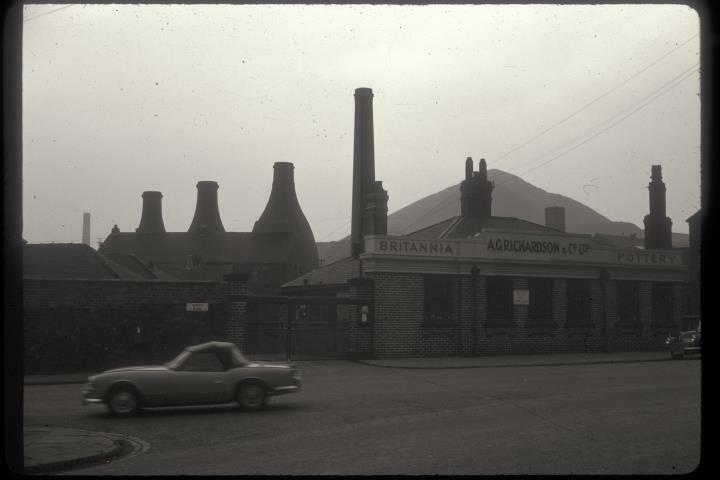 They moved from Tunstall to the newly acquired Britannia Pottery in 1934. It was a "model factory" with production organised on one leve, whereas many traditional potworks involved moving materials and ware between floors. The company became part of Enoch Wedgwood in 1974 and was subsequently closed. The works, ovens and chimneys have been demolished. The car heading off onto North Road is a Mark I Triumph Spitfire, first built in 1962. The soft top sports car had a top speed of 92 mph with a 0 to 60 mph time of around 16 seconds.